It's no exaggeration that I've been wanting to replace our old floor length mirror for over ten years. I love the floor-leaning kind but I was a bit nervous about having one in the home when the kids were little. Since they've gotten a bit older, I've found it hard to source the right one here in NZ and shipping a mirror from overseas is not an option, for obvious reasons. 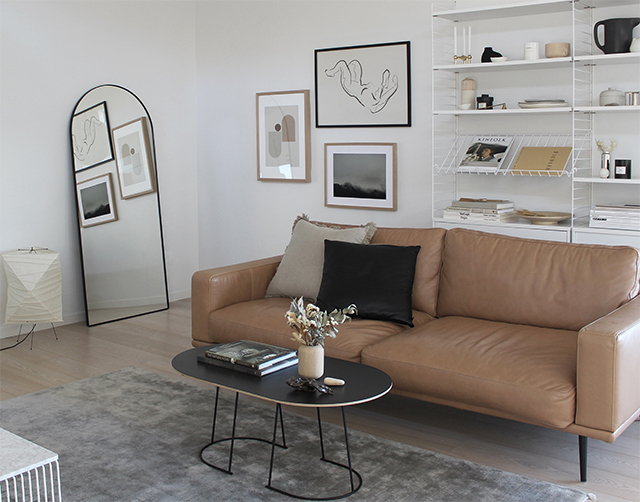 Knowing only too well this dilemma, Alana Broadhead-Fryer from NZ-based Sunday Homestore decided to take matters in to her own hands. 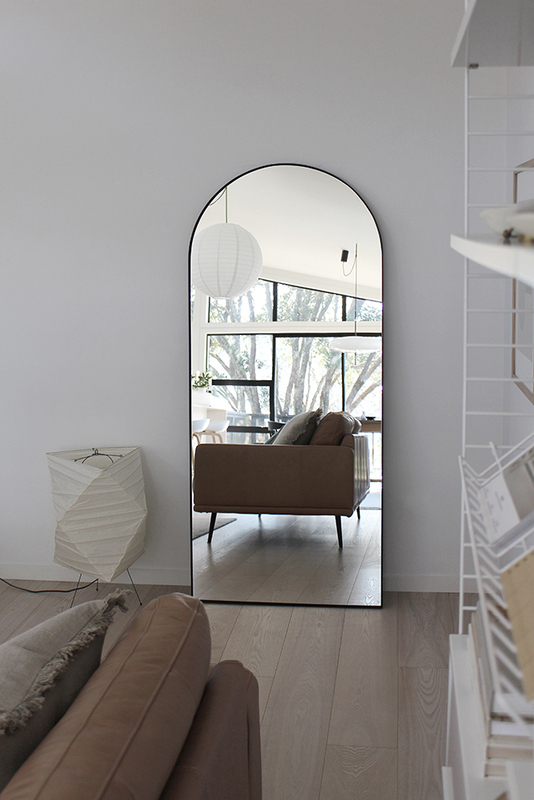 Using her well-honed eye for design, she has created a beautiful full-length, floor-leaning mirror in a contemporary arch form. One look and I knew it would be perfect for our home! Following on from Sunday's first design, the Sunday Bench (still a favourite piece in our home), the Sunday Mirror is also beautifully crafted with versatility in mind. 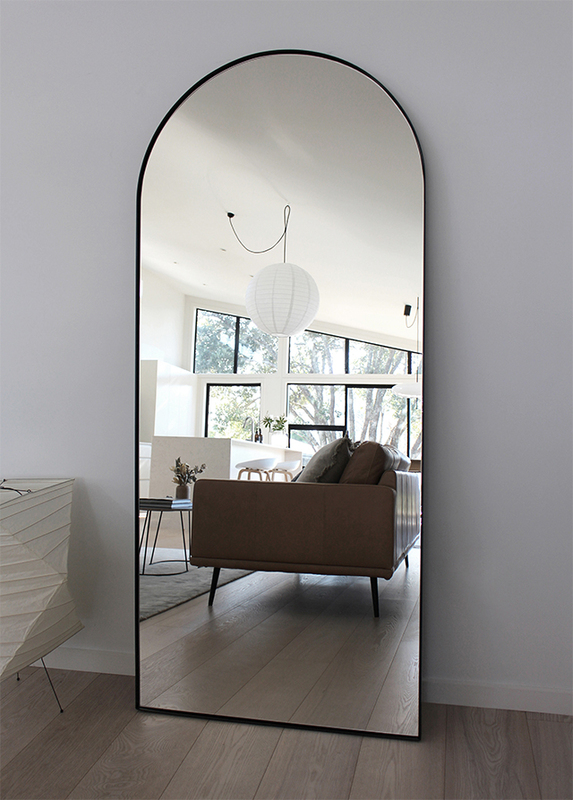 I love how the mirror looks in our living room - the reflections provide an eye-catching element - but it's also ideal for the bedroom, bathroom or entrance way. 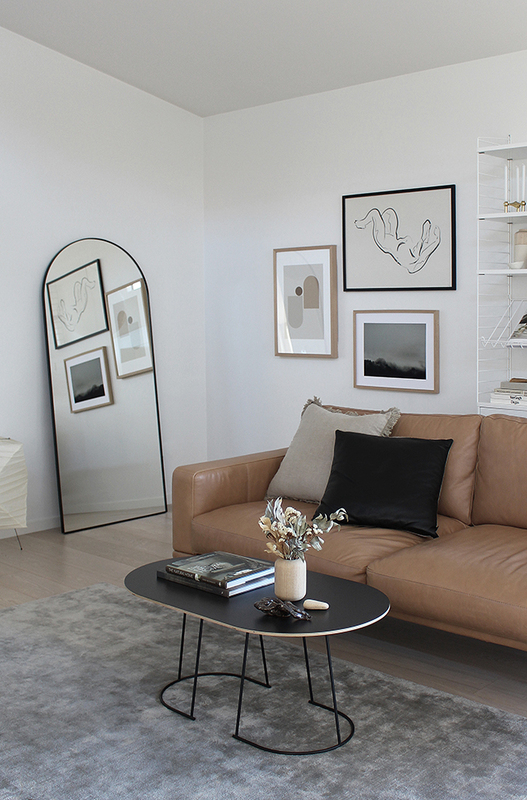 Having recently talked about my love of love of arches in interiors, I'm excited to have found a way of introducing this timeless silhouette into our space. 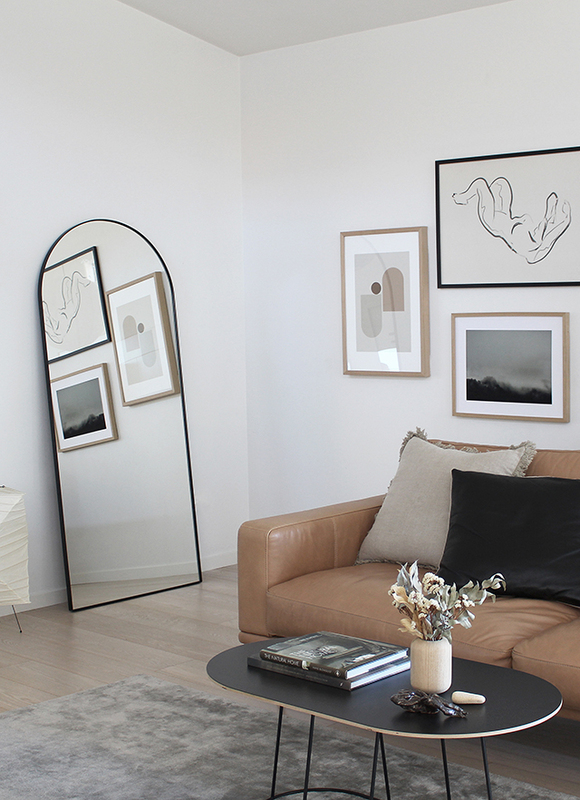 The New Form 2 art print on the wall alongside provides a great pairing don't you think? Another great feature of the Sunday Mirror is its size. Designed to be tall enough for the over six-footers, it's also generous in width. 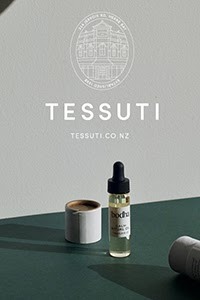 Made here in NZ and made to order, it can be shipped anywhere in the country. 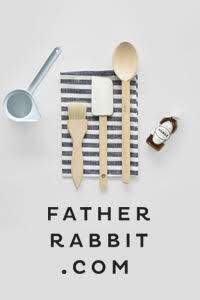 Shop online here and be sure to have a look around the other gorgeous homewares while you're there! This post was created in collaboration with Sunday Homestore. I only work with products I love and all opinions are my own. For more information please visit my About Page.